FEATURE — As we stand on the brink of 2019, it’s important to remember how the communities of Southern Utah and our country as a whole have come to this new year’s eve. Whether we’re talking about Election 2018, which saw some shakeups and surprises on both the state and national stage, or the saga of the Bluff Street project, which had its ribbon cutting just before Christmas, the stories of 2018 have both figuratively and literally paved the way for the new year. But the road is not smooth just yet. Whether it’s a question of medical marijuana or a Lake Powell pipeline, there are still some potholes and obstacles in the not-so-distant future. And while our communities lost many friends and family this year who won’t continue along our journey, there are many faces we followed in the news in 2018 who will no doubt continue to intrigue us into the next year. So without further ado, here are some of the stories that captured St. George News readers’ attention and got them talking in 2018. It’s unfortunate when news coverage ends up being an object lesson or cautionary tale – especially when death is concerned – but such is often the case when it comes to motorcycle accidents. And a fatal collision on the way to the annual Sturgis Motorcycle Rally was the topic of our most read article in 2018. 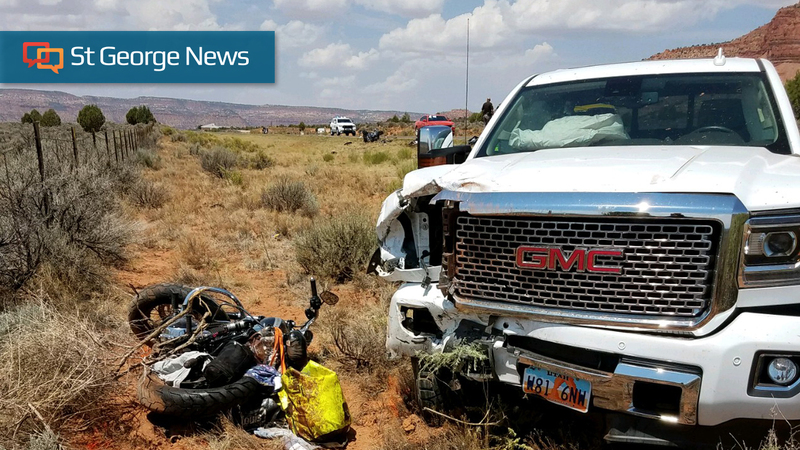 While the leading cause of motorcycle collisions is a vehicle turning in front of a motorcycle that has the right of way – a fact seen time and again in St. George News accident coverage – in the case of the Aug. 3 fatality, the riders who were hit were stopped on the side of U.S. Route 89 near Kanab. With the population of Washington County expected to double by 2040, the question of how to handle this anticipated growth is one that has polarized many St. George News readers. 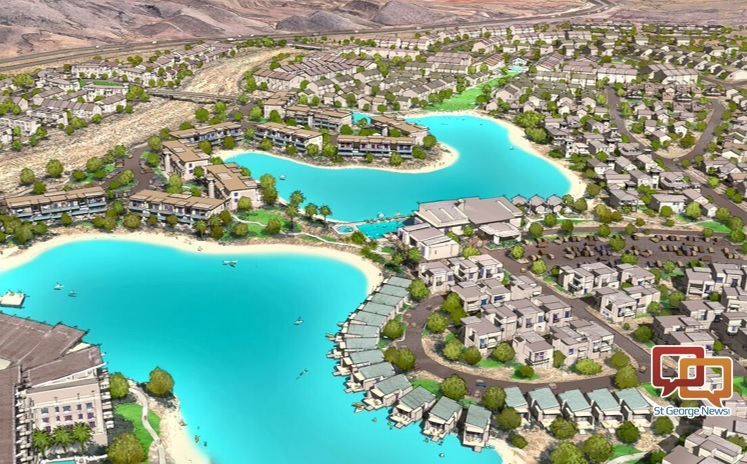 This was the subject of St. George News’ second-highest read story: the January unveiling of plans for a community in St. George comprising 10,000 residences to be located east of Interstate 15 on Southern Parkway. Since Southern Utah is a desert, water often comes into play in development stories, and the proposed Desert Color community was no exception. Read more: ‘Don’t you know we live in a desert?’ Developer says lake will actually save water in 3,400-acre Desert Color community. Some other projects set into motion with growth in mind were considered long overdue by some and just a nuisance by others. These included the Bluff Street project, which was completed ahead of time and under budget, and the completion of the reconstruction of State Route 9 through Springdale, a route that played a significant role in ushering approximately 4.5 million visitors to the gates of Zion National Park the year before. The controversial Lake Powell Pipeline and proposed northern corridor continued to draw lines in the red sand in 2018 and will likely continue to make news in 2019. For just being midterms, Election 2018 saw a “huge and historic increase” in voter turnout in Washington County, rivaling that of the 2016 presidential election. While many attribute this higher turnout to the county’s switch to mail-in ballots – and considering that GOP candidates once again swept the races – others say the issues on the ballot were perhaps the more important players, including a ballot question on raising the gas tax to support education and three propositions dealing with medical marijuana, Medicaid expansion and gerrymandering. When it comes to medical marijuana, from Proposition 2’s beginnings to the drug’s uncertain future in the Beehive State, the issue has been – and continues to be – the subject of the most controversy. Even though Proposition 2 passed statewide, in Washington and Iron counties, the proposition failed. But St. George News readers have shown us that both sides of the fence are watching closely as the story continues to unfold. In 1968, artist Andy Warhol said “In the future, everyone will be world-famous for 15 minutes.” Unfortunately, some of these 15 minutes at St. George News come in the form of a mugshot for doing something regrettable. However, there are some faces that showed up in 2018, both for better or worse, that stayed with us for a little longer, and in some cases, they continue to either inspire or haunt us. Here are several people who made the news in 2018. On March 5, Pine View High School was evacuated, triggering a set of events that would include charges of attempted murder and possession of a weapon of mass destruction for one of the school’s students. 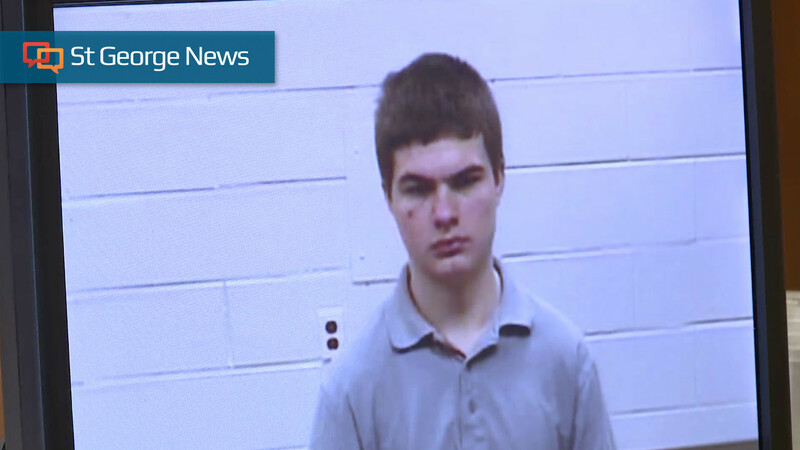 Since he was a minor, originally St. George News referred to the 16-year-old as “the teen” in coverage of his actions – the justifications of which his parents and specialists would say in court ranged from bullying to autism. But when 5th District Juvenile Court Judge Paul E. Dame determined that the youth would be tried as an adult, St. George News readers got their first look at Martin Farnsworth. 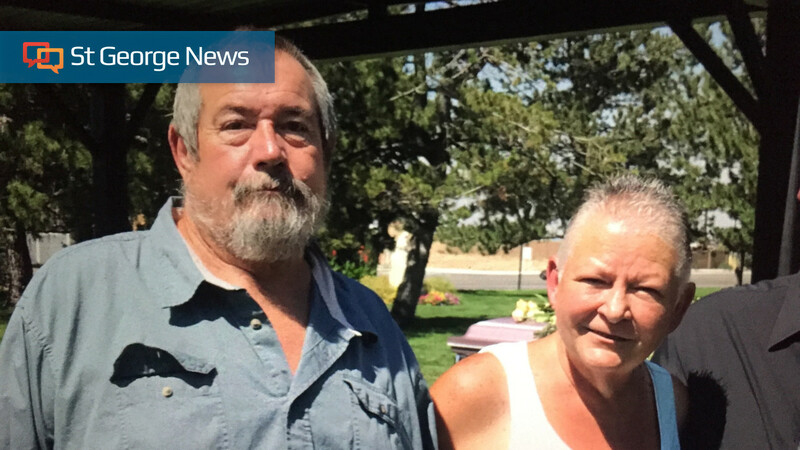 At the beginning of 2018, St. George News received a missing persons report for a couple out of Littlefield, Arizona. Jerry and Susan McFalls, both 63, had disappeared seemingly without a trace from their home. Family members offered a $5,000 reward for any information, which was later bumped to $10,000. St. George News reporter Joseph Witham accompanied a private investigator hired by the family at the end of March as the bounty hunter from the Las Vegas-based Federal Fugitive Recovery Agency searched the eerily undisturbed property. In October, two bodies were found on the Arizona Strip, one of which has been positively identified as Susan McFalls. The other set of remains is currently still under investigation at the FBI Crime Lab. 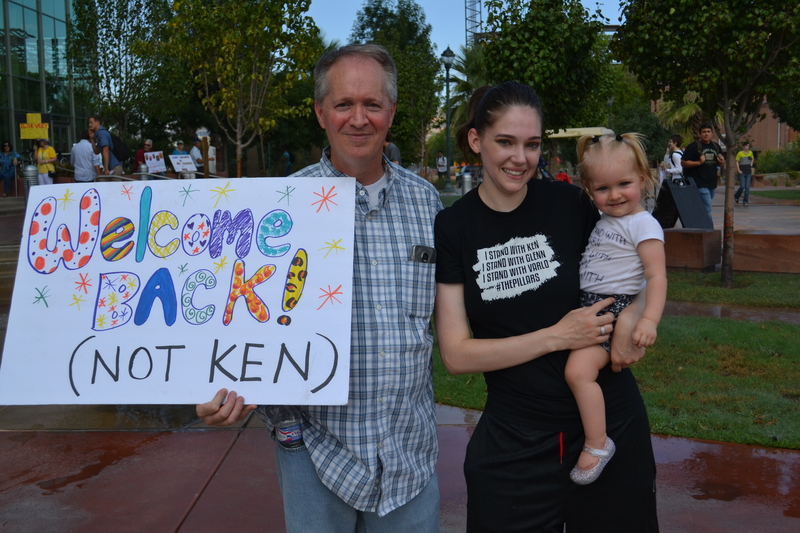 In March, Dixie State University tenured professors Glenn Webb and Ken Peterson were fired on allegations of policy violations. Not the first time the university had been in the spotlight for questions of administrative abuse of powers, the firings set off a furor of protests ranging from current students and faculty to alumni and scholarship providers. Following a recommendation from the Utah System of Higher Education, Peterson was reinstated in July but only if he would sign a “Last Chance Agreement,” a five-page document that Peterson equated to having “a gun pointed at my head.” Peterson refused. The story continued into September, when five state senators submitted a request for a performance audit of DSU administration to the Utah Legislature’s Audit Subcommittee. 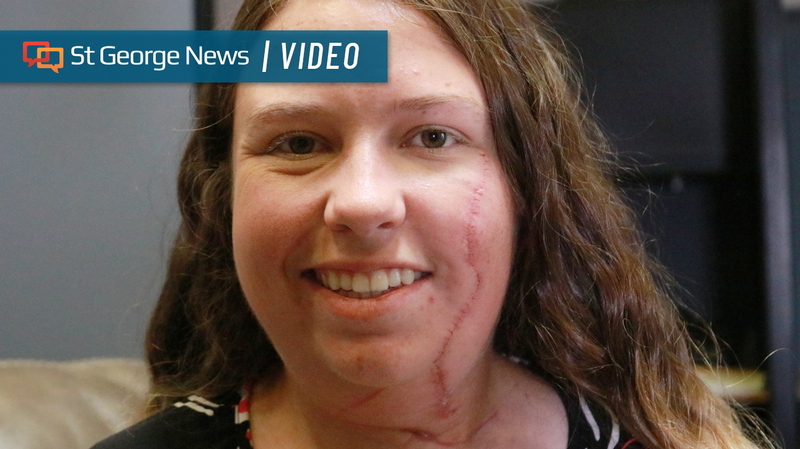 An act of violence reached out from Philadelphia, Pennsylvania, and struck home in Southern Utah in July when a pharmacy student from St. George was randomly attacked by a stranger outside a Walgreens and slashed across her face. But the story of Whitnie Sullivan, a 2014 Desert Hills graduate, turned from one of tragedy to one of hope and forgiveness when she sat down with St. George for an exclusive interview. If there is one thing we like to do at St. George News, it is to raise awareness about community members who have always sought to help others without seeking acclaim or recognition. 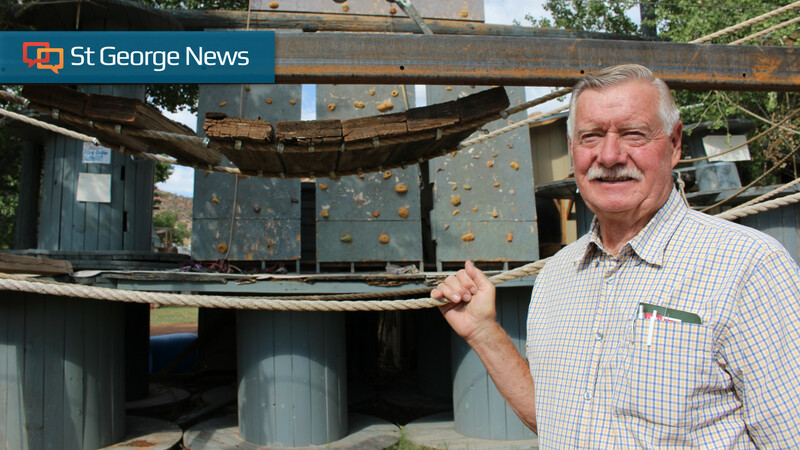 When it comes to Ben “Coach” Lott, he wasn’t even seeking money from visitors to Lott Ranch, his property in Leeds that he converted to a free theme park 16 years ago, operating the ranch from his savings account. So when we heard Lott Ranch was in danger of closing, we set out to tell the story of a man who was too humble to ask for it himself. And the result was not only readers who came out to tell about their own experiences at Lott Ranch but a whole new generation of families who wanted to know more. Another tragic object lesson, as speed was determined to be the cause of the deaths of two teenagers in the Virgin River Gorge on Interstate 15 just north of Littlefield, Arizona. St. George News reporter Mori Kessler was able to get the inside story on this act of vandalism to the St. George Temple of The Church of Jesus Christ of Latter-day Saints from a family member who worked in the temple. You just gotta read this one. Or rather, see this one. You’ll thank us for it. Following a dry spring, many in Southern Utah were just waiting for the inevitable, which came in the form of human negligence. It wasn’t the Brian Head Fire of 2017 but the ghosts of the past were too hard to ignore. Monsoon rains brought trouble – and approximately 3 feet of mud – to Zion National Park, temporarily closing the Zion Canyon Scenic Drive, as well as several popular trails, many of which are still being repaired almost six months later. An announcement at a St. George City Council meeting in August was not quite so simple as a routine closure, as it raised questions of what could’ve been done to prevent closing down the regional airport for four months. All of us at St. George News and our parent company, Canyon Media, would like to thank you, our readers, for your support in 2018. We couldn’t do it without you. More than just reading and sharing our articles, you are often also the catalysts for our content, whether it’s telling us about your experiences in our region and giving us story tips or sending us your letters to the editor or photos from out and about in Southern Utah. We have worked to be your best source for free local news coverage, offering a wide variety of viewpoints and coverage, and with your help and support, we look forward to continued improvement in bringing Southern Utah the news that matters in 2019. While the latest shooting homicide at a bar is concerning, it is much more disturbing to have people kidnapped and murdered as the McFalls’ were. Hopefully the perps will be caught.